Special Occasion. Treat someone special to our Signature Afternoon Tea for Two served Monday – Saturday in our Barn beside log fires. 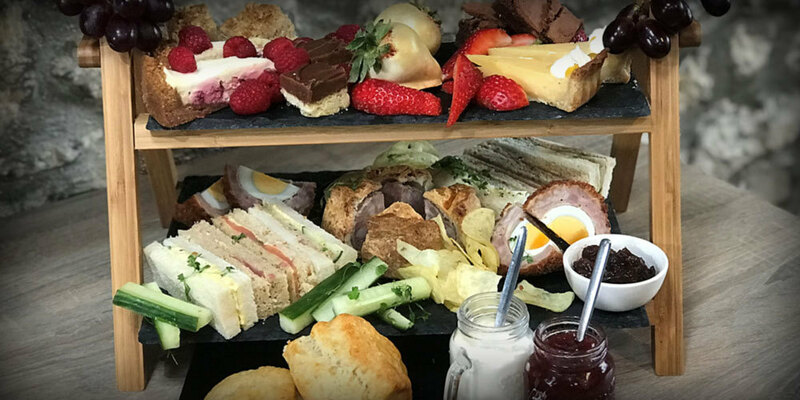 Selection of finger sandwiches: selection of savoury treats such as homemade pork pies and scotch eggs: scones, cream & jam: selection of home made cakes: fruit including chocolate covered strawberries; crisps and a pot of tea for two. The content of our Afternoon Tea will depend on what homemade cakes and savoury treats we have on our deli counter on the day of your visit. However, sandwiches at made to order so please let us know if you have any special dietary requirements.